Pallet wrap is essential for the safe delivery of palletised goods. It is used for securing boxed items onto pallets making sure that they don't become loose while being transported. Pallet wrap is primarily used for stopping materials from falling off pallets. It does however also act as a protective shield. Forming a barrier over the goods, it cushions any knocks or bumps and repels water. Our pallet wrap comes in a variety of different sizes and colours ensuring that there is something to meet your needs. This particular film is clear, making it easy to identify what is beneath the film. 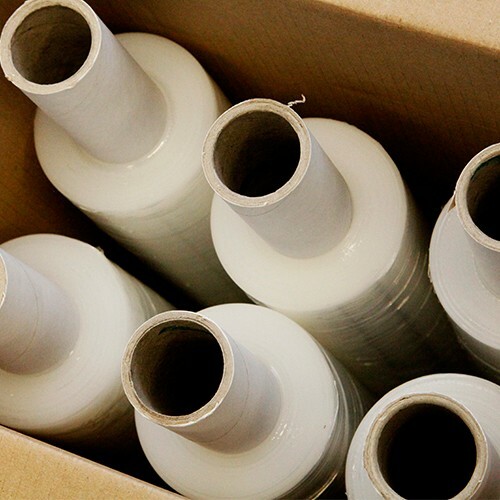 Pallet wrap is made to the highest of standards using high-quality materials. 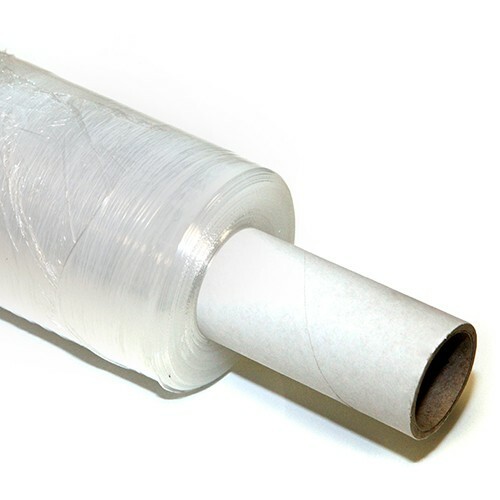 This ensures that the pallet wrap is strong and durable making it difficult to tear and puncture.